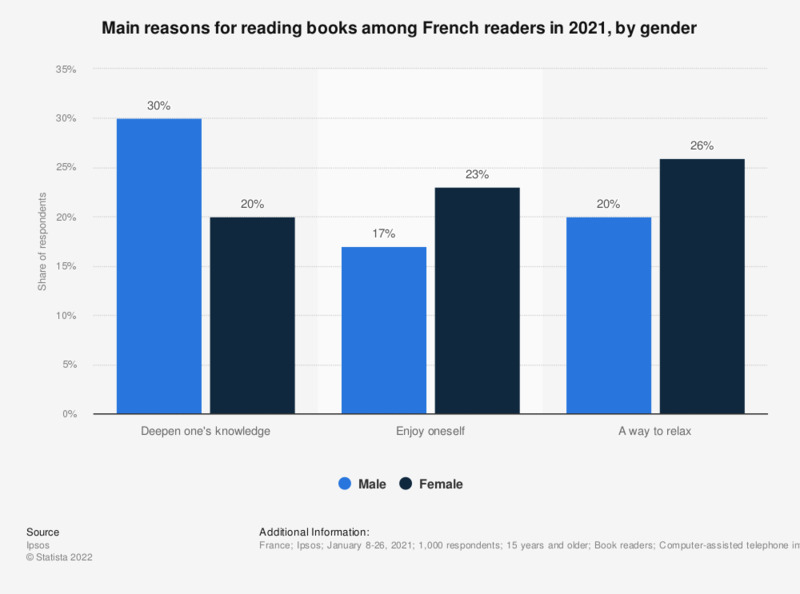 This statistic display results of a survey concerning readers' motivation for reading books in France as of 2015, by gender. It reveals that men and women had different reasons for reading books. Indeed, 32 percent of male readers stated that they read books to deepen their knowledge, whereas only 14 percent of women did so. In contrast, the share of women who declared they read books to enjoy themselves was three points higher than among men. This question was phrased by the source as follows: "What is your main reason for reading books?"